A heart attack occurs when blood flow to the heart muscle is blocked long enough to damage the heart. Most heart attacks are caused by a blood clot in the coronary arteries. After having a heart attack, many people need to make significant changes to their lifestyles. This can include adding an exercise program, making behavior modifications and changing the diet. A major concern you may have after a heart attack is whether you can drink coffee. Heart disease is the No. 1 cause of death in the United States. Family genetics, bad habits and uncontrolled risk factors can lead to heart attacks. Over time, plaque builds up along the artery walls. This plaque can either build up enough to close the artery or it can cause a clot. Symptoms include chest pressure, pain radiating in the jaw or down the left arm. Feelings of indigestion, shortness of breath and profuse sweating can also be a sign of a heart attack. Seek medical attention immediately if you feel these symptoms. Your doctor will most likely put you on different medications to control blood pressure and heart rate, to thin the blood and to decrease cholesterol. You should also start exercising and eating well, and controlling what you drink is just as important as controlling what you eat. In certain situations, what you drink may interact the new medications you are prescribed. The average cup of coffee contains between 95 and 200 milligrams of caffeine. 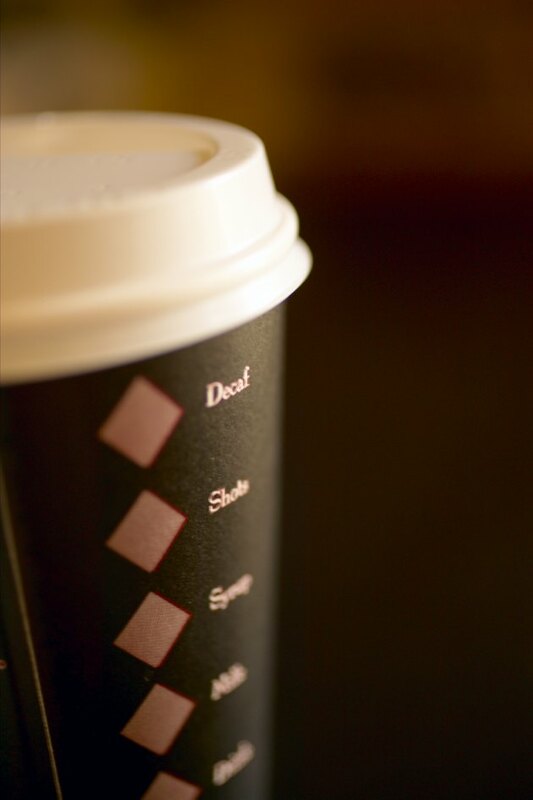 Caffeine has many effects on the body, including heightened awareness and increased heart rate, blood pressure. The caffeine in coffee can interact with different heart medications. These medications are meant to lower heart rate and blood pressure to take stress off the heart. For this reason, many health care professionals will suggest you consume decaffeinated coffee. According to an article published in "American Journal of Epidemiology" in 1999, neither caffeinated nor decaffeinated coffee is associated with an increased risk of a heart attack. If you are not prescribed any medications with caffeine interactions, there is no increased risk of drinking coffee for those with heart disease. Due to the caffeine content, coffee should always be consumed in moderation. You should always check with your health care provider before making any dietary changes.